Our vision at Shoelace is “To make expertise accessible at scale”. This translates into a fundamentally new approach to creating product experiences. Today, SaaS products are typically self-serve software tools that need a human to operate, where the value creation is tied directly to the human operator’s usage of the software. Take a marketing tool like HubSpot for example. Have a marketing strategy in mind that you want to implement. Log into the tool and do some work to create a campaign. Launch the campaign and analyze the results. Use your learnings to iterate on the strategy and log back into the tool to create new experiments to run. In order to extract value from the product, the user needs to successfully execute all four steps repeatedly. If the user faces a roadblock at any stage, the product will have failed to deliver value. I’m not saying this is the product’s fault, but we think there is a better approach. If they failed at the first step, they were lacking the expertise to effectively devise a strategy. If they failed at the second step, they were lacking the expertise to overcome the learning curve of using the tool. If they failed at the third step, they were lacking the expertise to properly analyze the results. If they failed at the fourth step, they were lacking the expertise to learn from the results and formulate an iterative experiment. Solving this problem requires a paradigm shift in the approach to creating product experiences. One where expertise is baked right into the usage of the software. The product assesses your business to recommend an appropriate strategy. The product proactively creates the first campaign to run. The product analyzes the results once it’s gone live. The product proposes new experiments based on learnings. Besides the obvious benefit of a much smoother and more pleasant product experience, there is another important reason why baking expertise directly into the product unlocks a lot more value. A product that serves as an expert to a large user base is very well positioned to leverage the learning experiences gained from all its users to further sharpen its expertise offered to each individual user. We’d like to help build a future where expertise is just as accessible as information. It shouldn’t be so hard to have access to expertise. It shouldn’t be that the only way to access expertise is to either hire an expert or to spend the time to become one yourself. We think that software can play a key role here and by embedding expertise into the product experience, we think that it’s possible to make expertise scale. We’re also realistic that this is an incredibly hard thing to do. Users will have so many different use-cases and goals. Their businesses will be in different stages and verticals. So trying to automate expertise to account for all these cases can seem almost impossible — at least for now. However, Shoelace is living proof that it is indeed possible to automate expertise. It just requires some important trade-offs. Our view is that technology is not yet ready to automate all expertise for all businesses, but we’ve shown that it’s possible to start automating some expertise for some businesses. Our view is that technology is not yet ready to automate all expertise for all businesses, but we’ve shown that it’s possible to start automating some expertise for some businesses. Over the last couple of years, we have been automating retargeting expertise for small to mid-sized e-commerce businesses. We have helped thousands of e-commerce businesses run sophisticated retargeting campaigns and generate millions of dollars in sales. 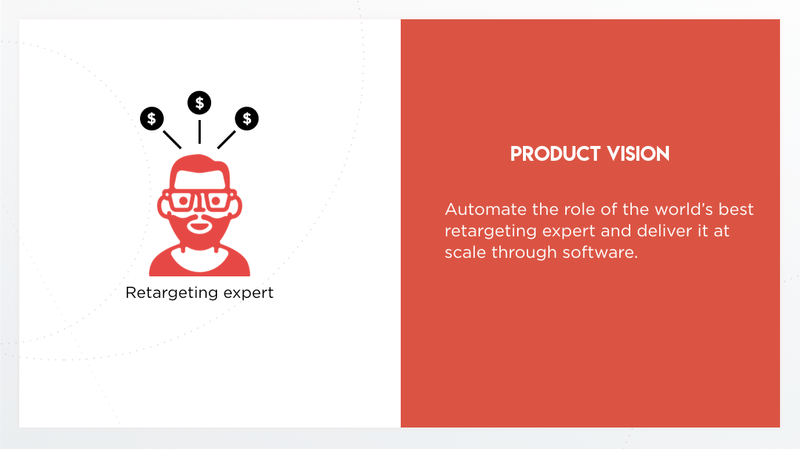 The hyper-focus to automate a very specific thing (retargeting) for a very specific kind of user (small to mid-sized e-commerce businesses), has allowed us to make an incredible amount of progress towards automating expertise in one instance. We have tasted the future and it is exhilarating! Our journey has only just begun. We are looking for talented people to help us make expertise accessible at scale ! 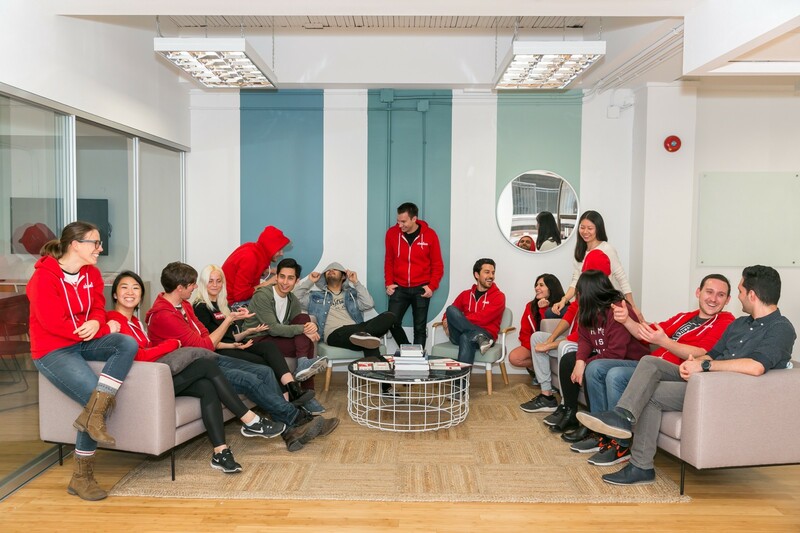 We are 16 people right now and we plan to be a 100+ person company in the next few years, so every position comes with a ton of career growth opportunities. We have overcome the riskiest parts of starting a startup and we are now “default alive” (learn more about default dead vs. default alive). In other words, you aren’t going to lose your job because the company ran out of money . Our revenue has been growing between 12–20% every single month since we first started charging for our product. We have a fun, diverse, ego-free culture of friendly and super hard working individuals that you would be proud to work with.